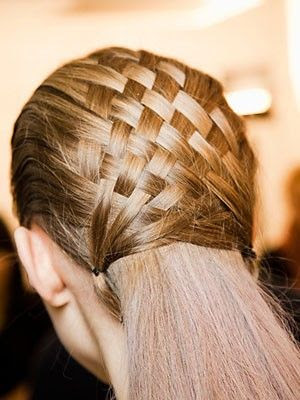 Basket Weave Hairstyle Design : Everything About Fashion Today! You will not be able to do this on yourself. It is kind of complicated but it is a really cute hairstyle to try. Would you be doing this on your daughter or a friend soon? Here is a really great tutorial for you to learn how to do this great and fun Basket Weave Hairstyle.